You have logged some serious hours at the gym over the winter and you are ready to shed those winter coats and hats and don a bikini or swimsuit. You spent the winter making promises to yourself that next week you will start going to the gym and working out. In the meantime, you basically camped out on your couch and watched Netflix hours on end while overindulging on comfort foods that made you forget about how cold it is outside. And as far as that bikini body is concerned, well, you just aren’t quite there yet. It seems as though you spent the entire winter losing the willpower battle to avoid those diet derailers. In other words, you enjoyed the winter scarfing turkey, mashed potatoes, creamy soups and anything with chocolate. And you left plenty of evidence of this between the cushions of your couch. So, what are you going to do about that now? 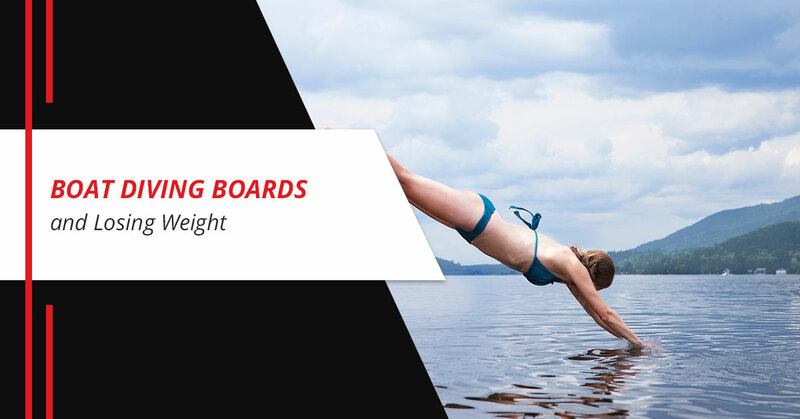 Spring is just around the corner and before you know, you will be on your boat enjoying your new boat diving board from Lillipad Marine. Time is running out for you to get it together and find that bikini body under all of that winter flab that snuck up on you. There is no use in getting mad at yourself; what is done is done and you can’t turn back the clock. But what you can do is to work hard and get that bikini body you desire before summer rolls around. Here are a few tips to get that bikini body by the heat of summer. It’s March, so much of the country is still experiencing cold temperatures, snow and typical winter weather. Instead of the weather letting you down, go ahead and go outside and get some running, walking or bike riding in. All you have to do is pretend that it is warm outside. It can’t be all that bad, the worst of winter is over, hopefully, and the days are considerably longer than just six weeks ago. Take advantage of the longer days by working off all of those cookies you had over the holidays. As soon as the days get shorter, the temperature drops and the snow falls, you forget about cottage cheese, kale and fruit and find yourself downing big bowls of pasta, grilled cheese sandwiches and pies. The outcome was obvious; you gained a few pounds. If you desire a bikini body by summer, now is the time to swear off all of those carbs and put your summer meal plans to work. So trade in those hearty soups for fruit and make sure you are eating your vegetables. You may not even notice those few extra pounds you packed on wearing the heavy sweater and sweatpants. And you may not even care since nobody else will notice as long as you wear layers. Keep yourself conscious about your weight by doing your home chores in your underwear. This way, you are constantly reminded that you should be losing a little weight. Just make sure you have the curtains closed. When you find yourself sitting on the couch and binge-watching a show on Netflix, stand up and do some squats. You aren’t going to lose any weight on the couch. Trade in the hot chocolate, wine and cappuccinos for tall glasses of cold water. Staying hydrated will help in the race to lose weight before summer. If you aren’t getting at least seven glasses of water a day, now is the time to start. You might be feeling a little stressed thinking about squeezing into your swimsuit. This isn’t going to help you lose weight. Look at ways you can deal with stress. You will discover that exercise is a great way to deal with stress. There has been plenty of reasons to celebrate over the winter. You upped your wine or beer intake over the holidays and it hasn’t subsided. As rewarding as alcohol can be, if you are preparing for a summer of boating in your bikini, steer clear of the booze. So start your journey to a bikini body today and don’t forget to order your diving board from Lillipad Marine today.